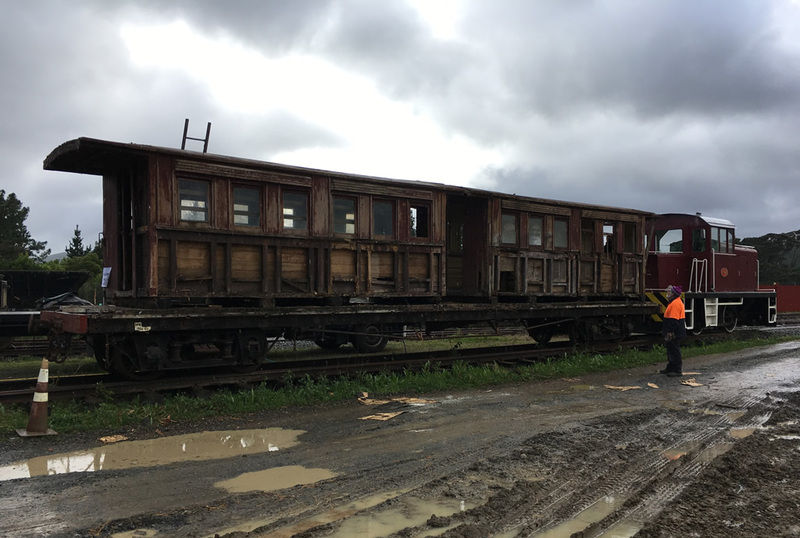 Work has started on the long-term project to restore 1884-vintage Gumdigger carriage A255 back into service. 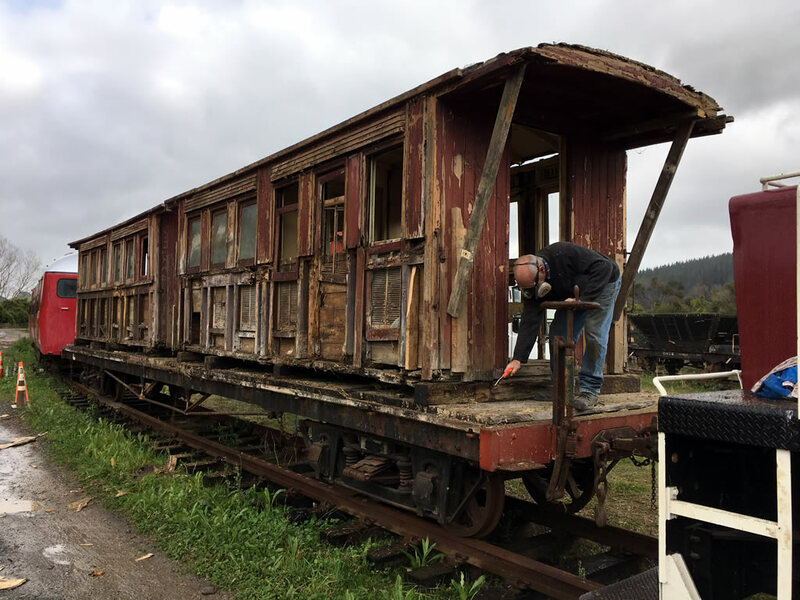 During the past year a conservation plan has been drafted, outlining the history of the carriage, detailing the fabric of the vehicle it its current state, and a project plan formed for its restoration. In the first half of 2017 the interior of the carriage was cleaned out, cupboards and other non-railway items carefully removed. Roof ribs and other items found to be in reasonable order have been checked over and sanded back to sound timber. Most exterior tongue-and-groove cladding has been removed from the frame, much of it in poor condition due to ground contact. Steel roof sheets that protected the carriage from the elements has also been removed. Next steps with the project are to raise funds for replacement timber beams that form the top and bottom plates. This would physically reunite the two halves of the carriage and enable the painstaking replacement of studs and other framing timbers. The long side of the carriage during clean-down, thankfully rain that was threatening didn't come to much. One gets a reasonable idea of the extent of work required to bring the carriage back to service. 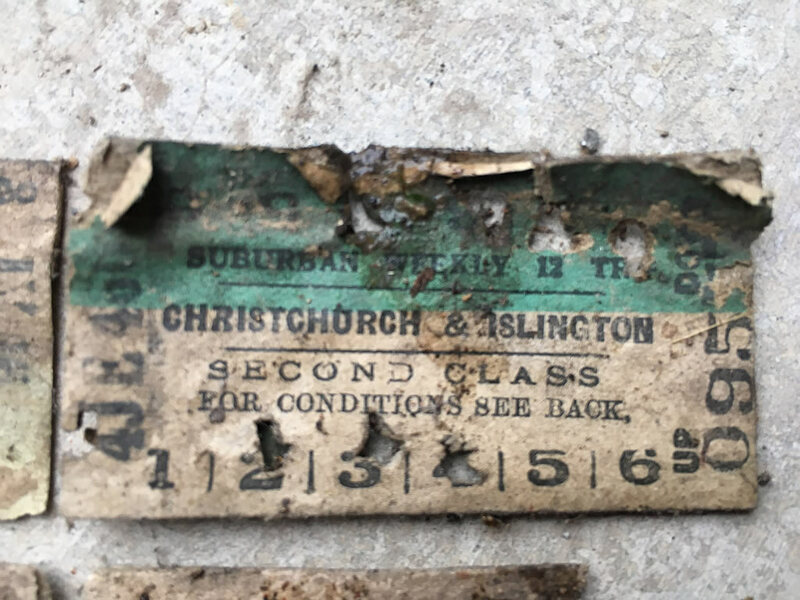 One of a handful of suburban train tickets found in the carriage walls during cleaning out, being a 12-trip ticket between Christchurch and Islington. Dating before the 5-day working week - when the carriage was in suburban service at Christchurch.